Heindel & Noyes (now WHEM) worked with the City of South Burlington on the groundwater and stormwater consulting within the Bartlett Bay Watershed between the 1980s and 2006. This work resulted in the Bartlett Brook Watershed Study and HydroCAD Model, which has been used to evaluate dozens of development proposals within the watershed. Most recently, the model output was used by WHEM to evaluate a residential development proposal in 2013. 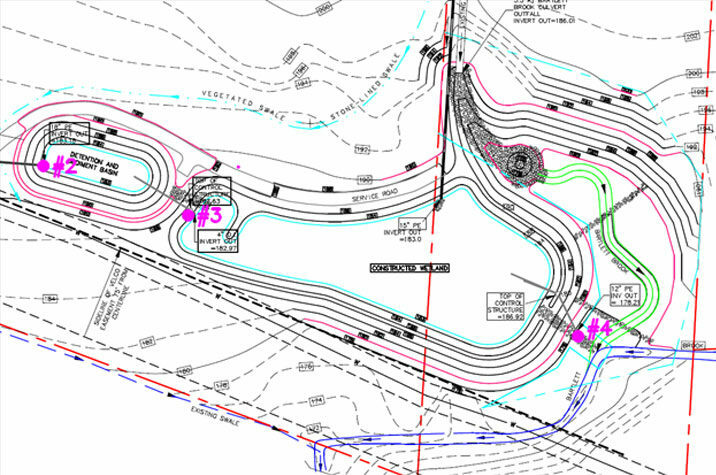 H&N also conducted an evaluation of the Bartlett Bay Road Stormwater Treatment System, a constructed wetland treatment system near US Route 7 and Green Mountain Drive in South Burlington. The study evaluated the effectiveness of the system at reducing the input of toxics, sediment, bacteria, and phosphorus into Bartlett Brook and Lake Champlain.